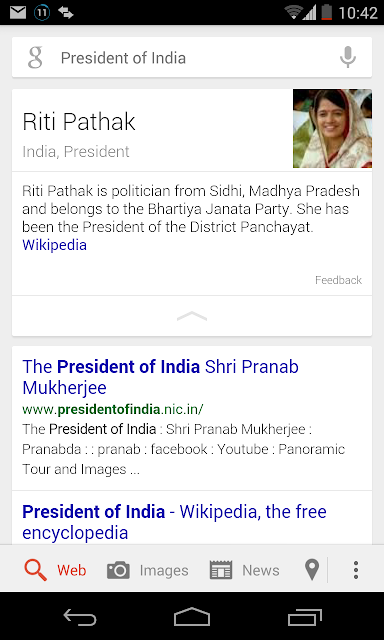 Check out the latest President of India. Thanks to Google. Finally there is a bug in Google search.